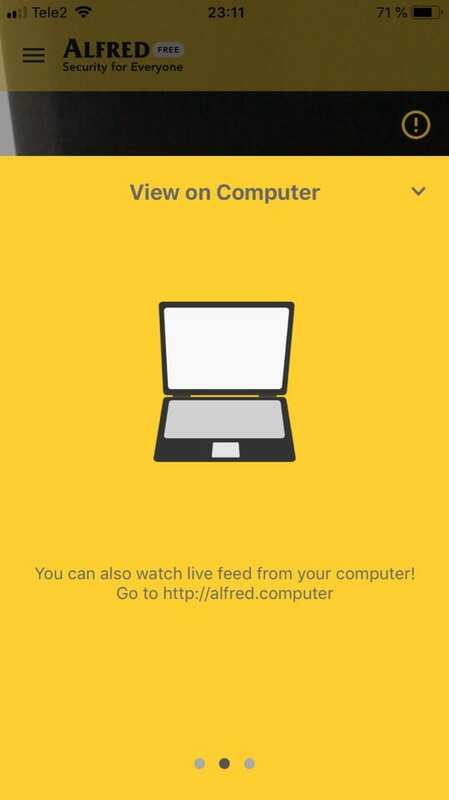 The broadcast can be viewed not only from the second smartphone but also through a browser from a device connected to the Internet. The smartphone can be used as a camera or receive a broadcast. you can view the charge level of smartphone cameras from the main device. Important! The load on the system is optimized. 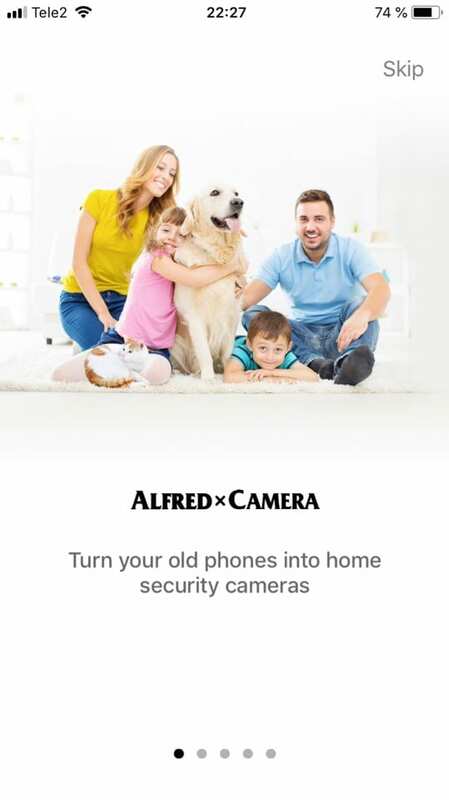 But you can leave the gadget-camera connected to power, or don’t keep a continuous recording. In the second case, you should enable the notification feature. Setting up the application is simple. 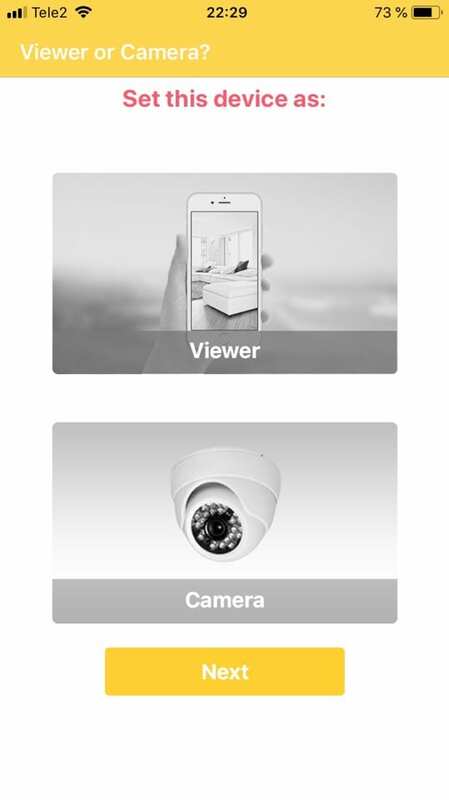 After you flip through banners with basic capabilities, you will be offered options for using the gadget in your hands – as a viewer or as a camera. Immediately, we note that you can switch between devices without problems, that is, change the Camera and Viewer places. It is very convenient because at work you can see what is happening at home, or at home to see what is happening at work. 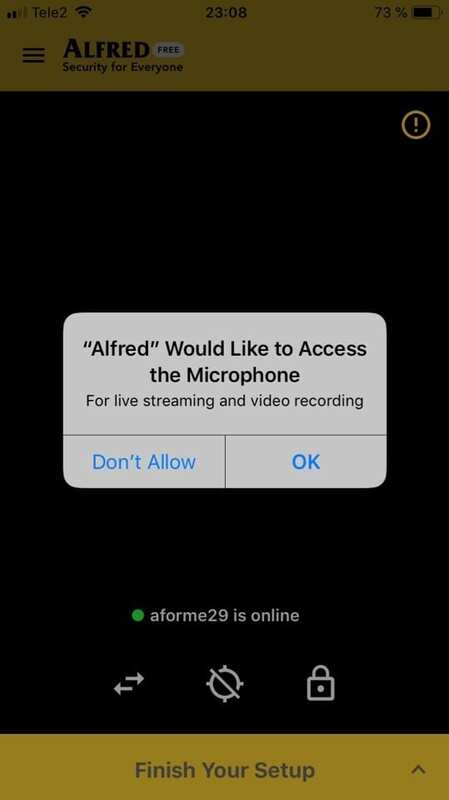 Of course, you should allow access to the Microphone and the Camera for live streaming and recording video. Next, we are offered to register. In this case, the account must be the same for both devices. To do this, the account in Gmail will fit. As soon as you install the application on both devices, the video broadcast will immediately begin. 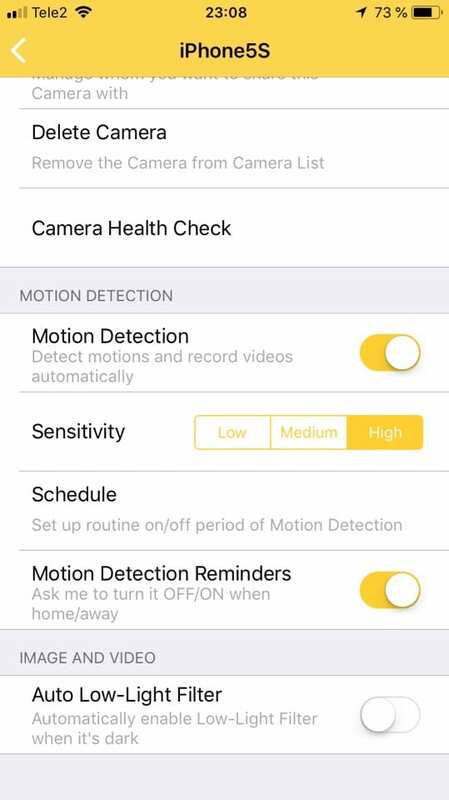 An application in camera mode adjusts motion detection using 1 of 3 sensitivity modes. 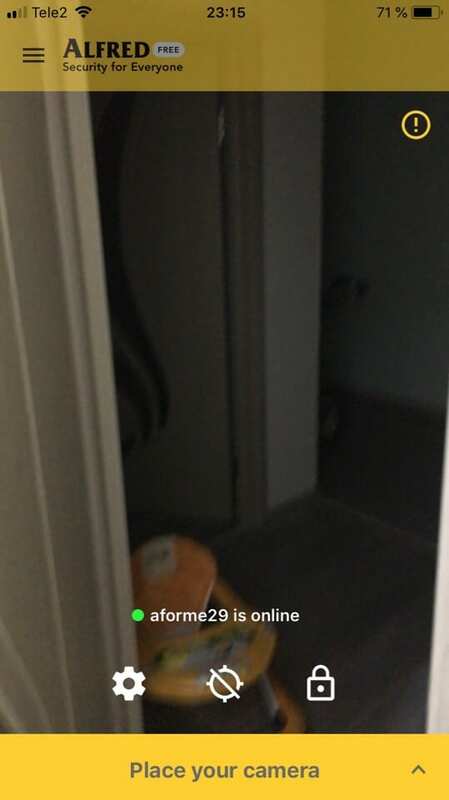 After the motion detector is set, the video is recorded on its own “cloud”. The quality of the video depends on the quality of the Internet connection. The length of the videos – 5 – 10 seconds, but if the movement continues, the next video of the same length is recorded. If these videos are in a close time interval, the application recognizes them and combines them into one group. 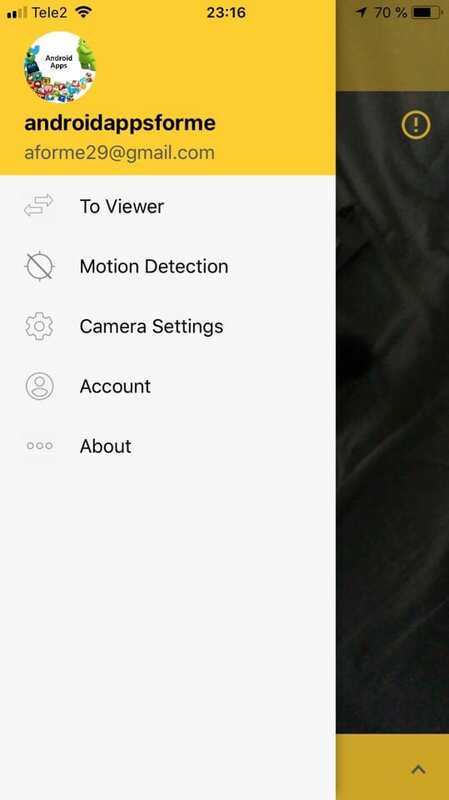 In addition, the front/main camera and night mode are available. 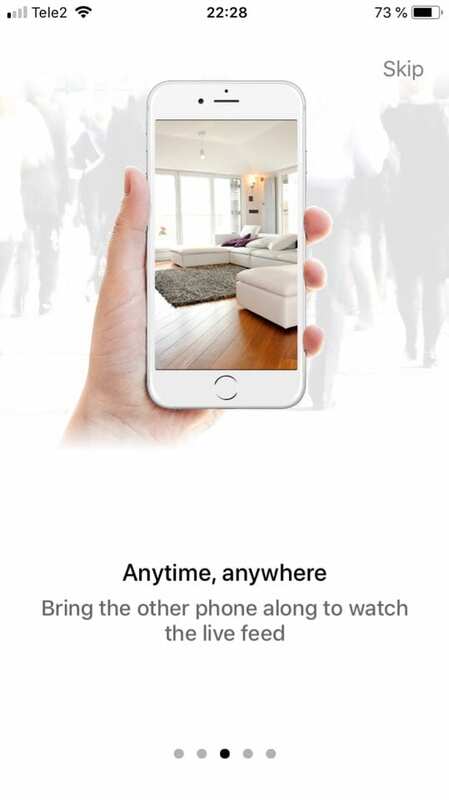 According to the developers of the program, the control of the object using a smartphone provides great opportunities for the user, since this device has a wider functionality in comparison with conventional video monitoring systems. 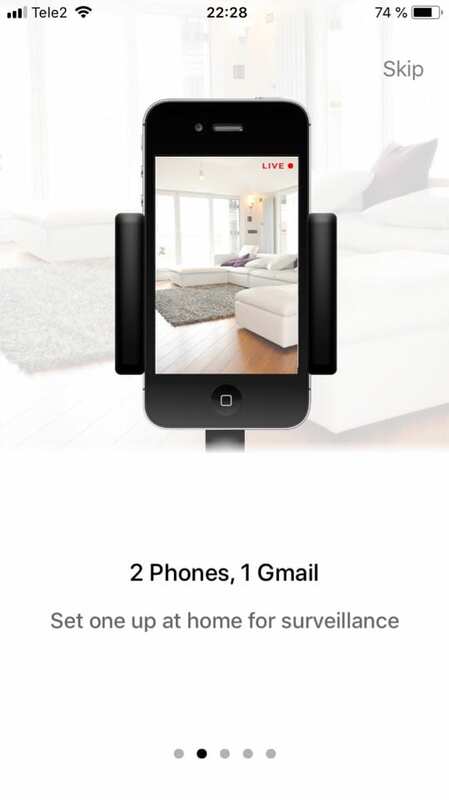 If you have an old unwanted phone with a camera at home, you can save a lot on the video surveillance system. This application allows you to breathe new life into your old gadget, which will function as a webcam, instead of collecting dust in a box. 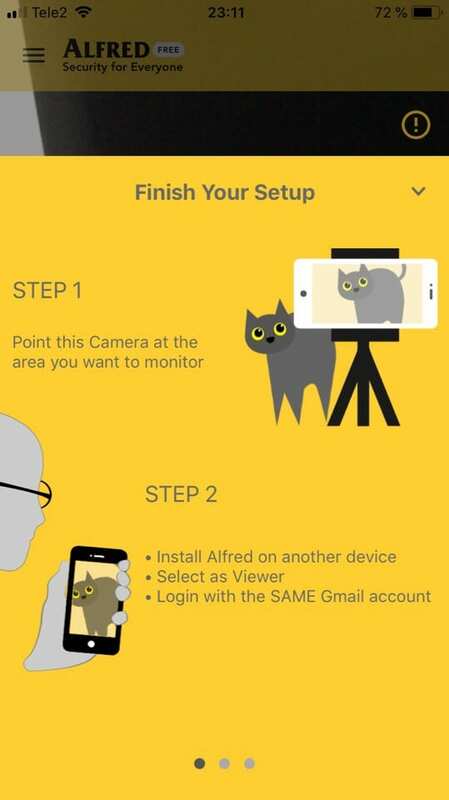 When it comes to video quality, modern smartphones are often better than individual IP cameras and this is what Alfred does. Your cat will not guess that you are spying on her, and you will receive a compilation of its bizarre behavior!